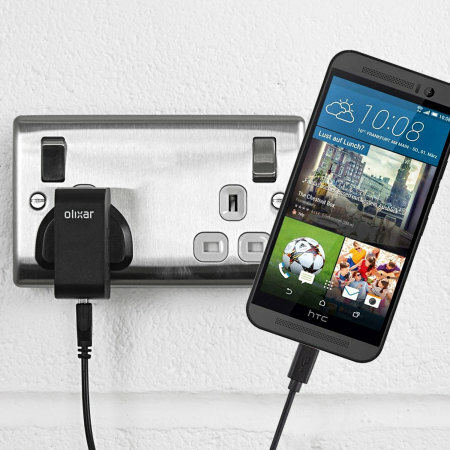 Charge your HTC One M9 quickly and conveniently with this compatible 2.5A high power charging kit. Featuring mains adapter and USB cable. My old charger getting slower. This works great. What more can I say? Excellent charger. Worth every penny! I brought my HTC over a year ago, and slowly the charger has just started charging more and more slowly to the point it can't charge my phone from 15% to 100% in under 8 hours. The HTC One m9 is 2A charge compatible but they only supply a 1.5a charger with the phone. HTC wanted almost £30 for their 2A charger. This charger here less than half the price had fixed my charging issue from the moment I used it. Now it charger 15% to 100% in less than 2 hours.